Approximate gram weight is 3.28 grams in a size 10. Weight varies by size. 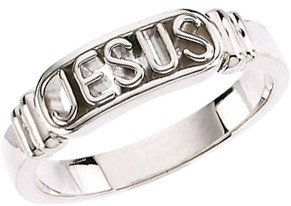 We guarantee our Jesus Ring in Sterling Silver to be high quality, authentic jewelry, as described above.